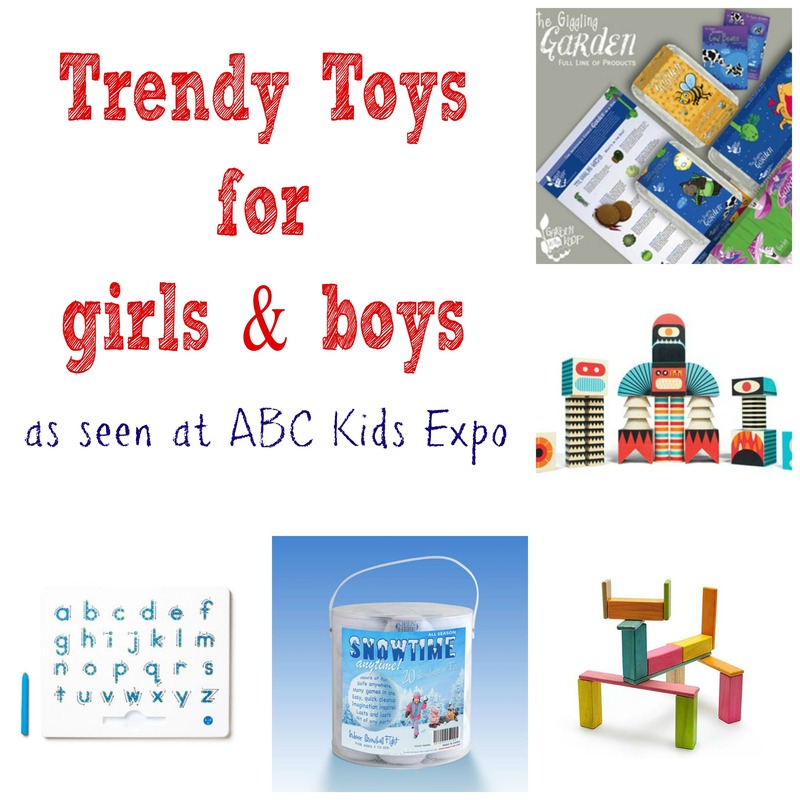 A few weeks ago I was able to roam the isles of the ABC Kids Expo in search of some new and/or cool innovative toys for kids 3 and up. There were hundreds of toys to look at and play with, I felt like a kid in, well, a toy store! 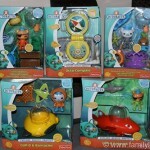 There are so many toys out there it can be overwhelming so I have put together my top 5 finds. Some are new to the market and some are just new to me. If you live in a climate like we do in Las Vegas, snowball fights are not part of our winter activities. That’s where Snowtime Anytime comes in. Snowtime Anytime is a snowball fight you can have indoors! I know what you’re thinking, that sounds like a mess, or wont things get broken? The answer is no! The snowballs are actually made of a soft, machine washable (and dryable) material that has a “crunch” like a snowball. They are very lightweight so damaging anything in the house is virtually impossible. Snowtime Anytime also has inflatable snow forts and castles for a more elaborate game. Get the kids (and you too) laughing and having a blast all while getting exercise and burning off all that energy! 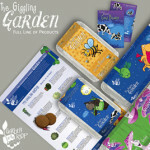 Do you have a budding gardener, flower lover, or even dinosaur enthusiast? Then check out Garden in the Koop! You and your child can grow anything from an edible garden of flowers or vegetables, to a red dragon carrot or dinosaur kale. No, I didn’t make those names up, they are real! There is also a box with seeds from plants that were around when the dinosaurs roamed the Earth! 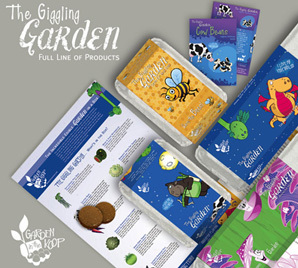 Each pack comes in an egg carton you can use to start your seeds and the website is a wealth of information about caring for the plants. I think this is a great way to teach young kids where their food comes from and I figure, maybe if my bug grows the kale himself he will eat it? Maybe! 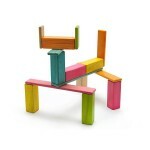 As kids get older they like to stretch their imagination and building blocks are a great way for them to do just that. However, sometimes it can be frustrating when the building keeps falling down! Tegu (TAY-goo) has solved that problem in an ingenious way. Magnets! Ok, so magnets aren’t new, but what Tegu has done with them is. The magnets are inside the blocks! No small pieces to worry about coming off so they are safe for kids of all ages! These beautiful blocks are colored with 100% non-toxic, water based dyes that will last a lifetime. 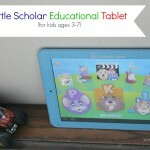 Tegu is a company with a mission. “To help bring lasting change”. They provide living wage jobs at their factory in Honduras, plant trees by the dozen, and have partnered with a local school to give kids the education they deserve. This is a great toy with a great cause behind it! Writing can be a difficult task to master, especially the curves of lowercase letters, or the dreaded cursive! Kid O has found a way to make practicing writing fun! The Magnatab is a great way to practice forming the letters. The easy to follow arrows direct the child in the proper way using a magnetic stylus creating a multi sensory learning experience. As the child traces the letter the stylus pulls beads up to create solid lines that erase with just the tip of your finger. The Magnatab boards are portable making them great for car trips, at the doctor’s office, or anywhere! 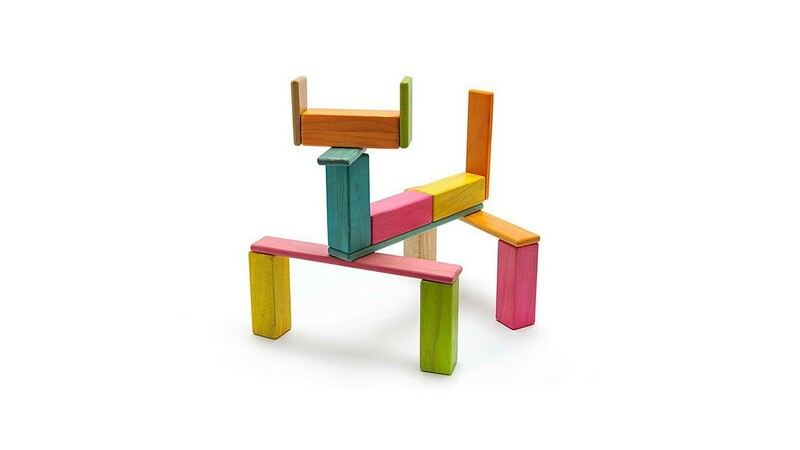 Last but certainly not least are the amazing wooden blocks from Uncle Goose. I know, how many blocks does one kid need? But these are different! Yes, they carry the traditional alphabet blocks, but there is so much more! One of my favorites is their invisible creature collection. 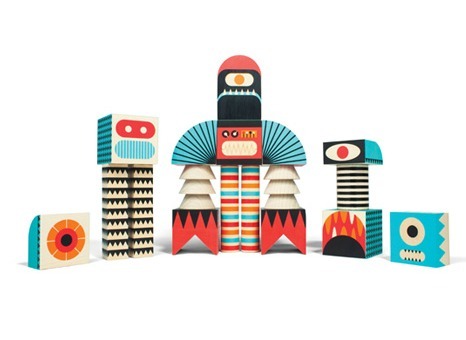 It is a set of blocks that can be made into any type of monster or robot your child can think of! 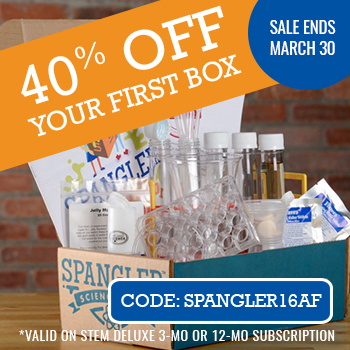 It includes blocks with dials and knobs, hands, feet, faces and so much more! The possibilities are amazing! As your child gets older there is no need to put away the blocks! Uncle Goose has a gorgeous set of blocks with the periodic table of elements on it! Each block has the element name, symbol, and atomic number on it. All of Uncle Goose’s products are made here in the USA. There are so many amazing sets, you just have to check out their website! Which one of these toys do you think your child would like the best? 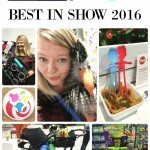 Best in Show from ABC Kids Expo 2015! Garden in the Koop looks like fun!! Great products! I think my son would love to grow Dinosaur Kale!!! these all look great! 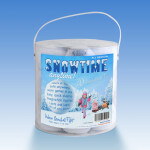 Since my EXtexan eight year old has still never seen snow…I must get her the INSTANT for Hanukkah. Love the snowtime anytime! I’m from Vermont. I’ll send you ALL my snow! we LOVE tegu! hours of fun creative play! That Garden in the Coop set looks adorable! This sounds like a conference I would really love to attend. Creative toys are so much fun for kids AND parents! Love the ones you featured, thanks for sharing! Those are some interesting products! I’m not sure which my son would like the best. I need the Magnatab for my son. He’s 3 1/2 and needs some help in the letter writing area and maybe this is something that would help since it has the lines showing him how to do it. We LOVE the fake snow at our house. Living in Texas we don’t see much snow so the kids have fun playing with it at the kitchen table. That fake snow is a MUST!!!! 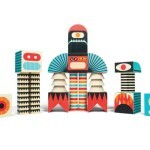 I am loving those Tegu magnetic blocks and those fabulous blocks from Uncle Goose. Fun! So many cool new toys! 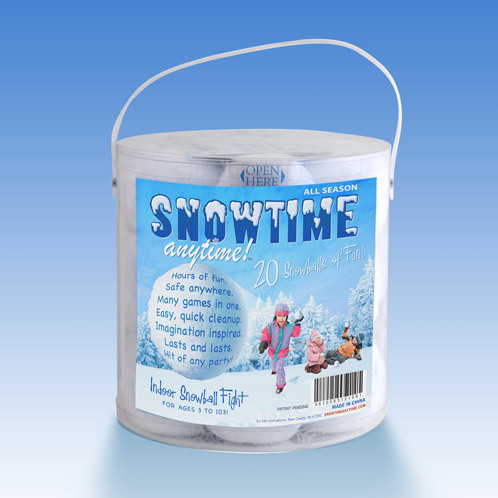 Those Snowtime Anytime is definitely on my list to get the kids for Christmas. They would have a blast with them since we maybe get one or two days of snow here in Dallas.